This Easter Quaglino's plays host to a pop-up Russian Vodka & Caviar Bar, inspired by Fabergé, in their restaurant in Bury Street, St James. 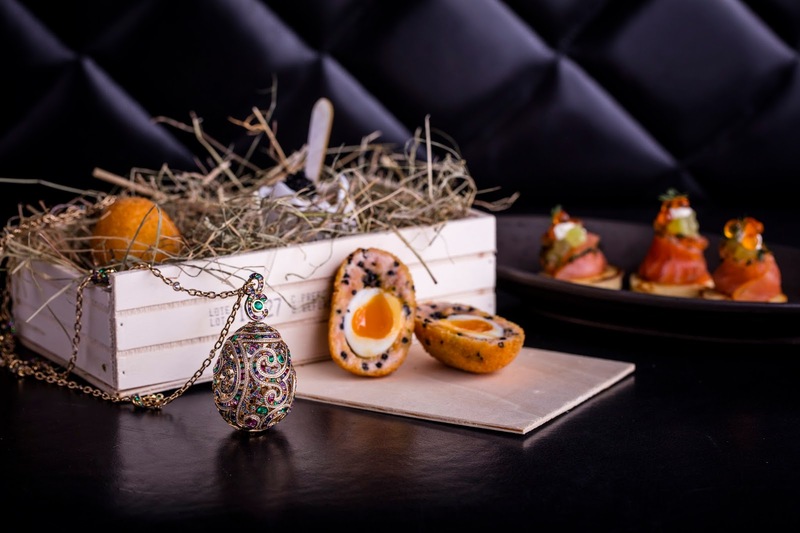 Open from Friday 7th to Friday 21st, it will feature such sumptuous delights as Foie gras & smoked garlic chicken kievs, Scotch quail egg “Fabergé.” smoked salmon, fennel & avruga caviar, and even a Gold chocolate egg, white chocolate & Grand-Marnier, hot chocolate sauce. There will also be four special cocktials, made with Russian vodka Stolichnaya Elit. Wow! "As spring is officially upon us, Quaglino’s announces the ultimate Easter celebration; a pop up Russian vodka and caviar bar inspired by the world’s most iconic artist jeweller Fabergé. Guests will have the opportunity to view an artistic egg sculpture presented by Fabergé and enjoy the pop up bar with a decadent menu in celebration of its heritage. The story of Fabergé dates back to 1842, and celebrates the legendary series of lavish and ingenious Imperial Easter Eggs which are the most awe inspiring of all Fabergé works of art. In addition, four limited edition cocktails made with Russian vodka Stolichnaya Elit and inspired by Fabergé’s fine jewellery collection will be added to the menu: The Imperial, The Rococo, The Heritage and The Fabergé." To make a booking in the Mezzanine Bar and enjoy the Fabergé inspired menu, please contact quaglinos@dandlondon.com or call 0207 930 6767.